Innovation District: Ottawa Towers and Phoenix Center - Connecting new knowledge on Innovation Districts with community sourced ideas, projects and values, collaborative minded anchor institutions and risk taking entrepreneurs and artists to launch a learning platform for business, cities and education. Pontiac Holonomy Incubator - A co-locator & idea driven incubator site in downtown Pontiac. Design Thinking & Doing are practiced and aimed at transformative projects including innovation district development and the development of imaginative new learning models and platforms for the 21st Century. A Connected Learning Ecosystem - (Pontiac, MI pilot program) Launched October 13th, 2015 with "Design Walk" an imaginative tour of downtown Pontiac with the students of the Webber Media Arts Academy. Design Thinking and Community-Based learning models that connect the learning from the tour to the classroom. 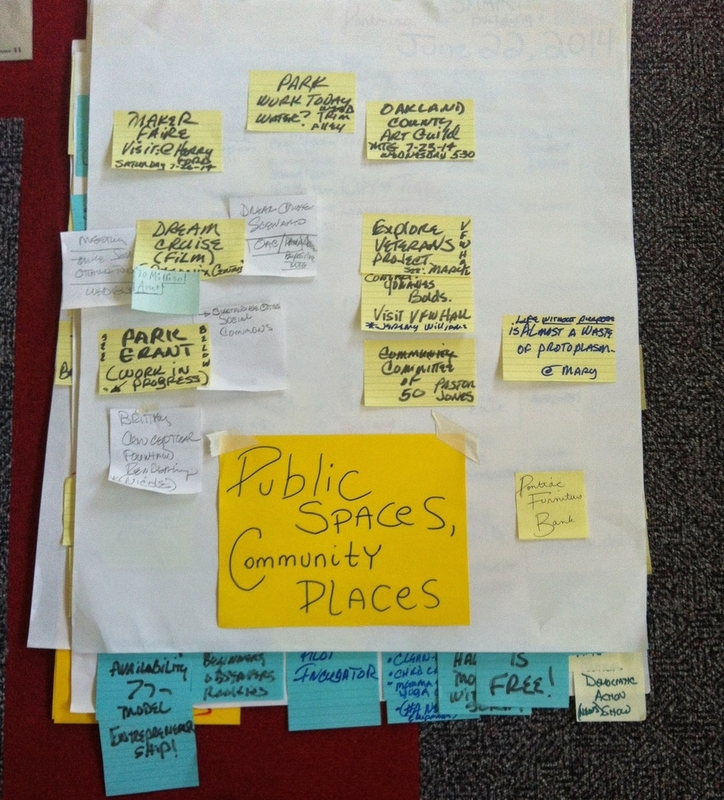 Public Spaces Community Places - A community sourced crowdfunding campaign developed while at the Oakland Arts Center in downtown Pontiac including the adjacent Hidden River Park and Buckner's Dessert Cafe. D-BAR-A - Boy Scouts Ranch, Metamora, MI - Development of a STEM Learning/Alternative Energy initiative.